Much of the information on Emmanuel Bombande’s early life was culled from an article by Augustina Tawiah published in The Junior Graphic, 2008. In March 2015, Bombande reviewed and confirmed the accuracy of this recapitulation of his life story. When he was 6 years old, Emmanuel Bombande’s parents sent him from their home in Accra, the capital of Ghana, to live and learn their culture with his grandmother in Bawku, a town in the country’s rural north. When he wasn’t in school, Bombande worked in the family’s peanut and millet fields and went hunting with his uncles. Still, Bombande remained in Bawku through high school, playing on the school’s football (soccer) team and eventually becoming the sports prefect. Even at his Catholic-run school, however, ethnic differences sometimes turned ugly. He recalls a fight erupting over a dance competition that had been held to encourage the ethnic groups to appreciate each other’s distinctive cultures. At NPI, Bombande reported to director Hizkias Assefa (a founding faculty member of CJP, and NPI director from 1990 to 1997) on conflict mediation in various parts of Africa. One of the first conflicts he worked on with NPI was between warring ethnic groups in northern Ghana – allowing Bombande to put his peacebuilding skills to work in the place where violence in earlier decades first pushed him into the field. 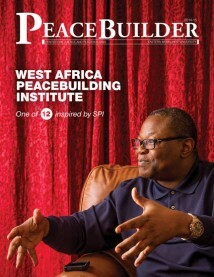 By 1998, Bombande returned to Ghana to co-found the West Africa Network for Peacebuilding (WANEP). After first serving as WANEP’s director of programs (where he continued to help mediate other ethnic conflicts in northern Ghana), Bombande became WANEP executive director in 2004. During that time he worked, taught and consulted with many other international and regional groups. Bombande has served as chair of the board of the Global Partnership for the Prevention of Armed Conflict, and in 2005, was honored (alongside former UN Secretary-General Kofi Annan) with the Millennium Excellence Peace Award. 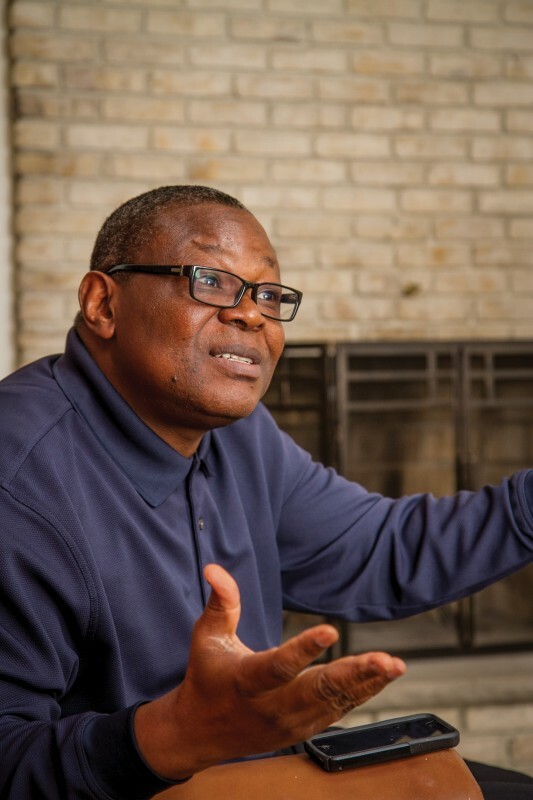 In early 2015, after more than a decade leading WANEP, Bombande stepped down at age 54 and took a short-term fellowship at the Kroc Institute for International Peacebuilding at the University of Notre Dame. * The Nairobi Peace Initiative was birthed by Harold and Annetta Miller, both early ’60s graduates of EMU who were then Mennonite Central Committee (MCC)’s representatives in Kenya. They employed Hizkias Assefa as NPI’s first director in 1990. Assefa has taught at SPI since the mid-1990s. The seed money for NPI came from MCC. To this day, NPI holds annual trainings in peacebuilding.